A research team led by Prof. Ho Bun Chan, Associate Professor of the Department of Physics at the Hong Kong University of Science and Technology (HKUST), demonstrates experimentally for the first time that the Casimir force can be made to depend non-monotonically on displacement between silicon nanostructures. This finding was published in Nature Photonics in February 2017. In 1948, Dutch physicist Hendrik Casimir predicted that two electrically neutral, conducting planes attract each other due to the boundary conditions imposed on the quantum fluctuations of the electromagnetic field. This quantum attraction, commonly referred to as the Casimir force, increases rapidly as the distance between the planes decreases. It becomes the dominant interaction between neutral components at the nanoscale. In the last two decades, a series of experiments have verified the existence of this tiny force. The vast majority of the experiments, however, involved simple geometries such as a sphere positioned close to a plate. In these configurations, the attractive Casimir force increases monotonically as the separation is decreased. Recently there have been much efforts in controlling the sign of the Casimir force. In particular, the ability to generate repulsive Casimir forces would open new opportunities in preventing the malfunction of nanomechanical devices due to stiction, which refers to the adhesion of mechanical components upon contact. 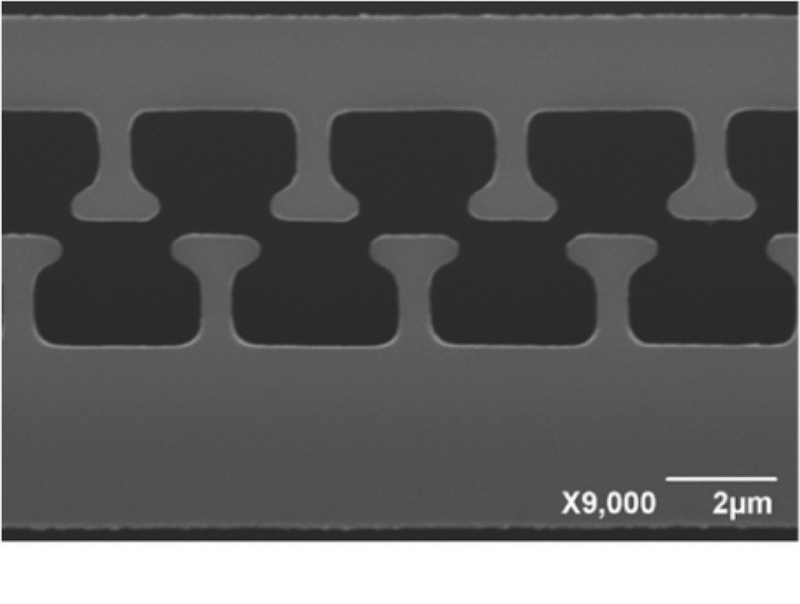 Using nanofabrication techniques, Prof. Ho Bun Chan’s research group constructed two silicon components with nanoscale protrusions and measure the Casimir force between them at cryogenic temperatures. 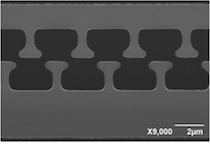 As the separation between the components are changed with an on-chip actuator, the slope of the Casimir force is found to reverse sign. In addition, they observed a “Casimir spring” effect, where quantum fluctuations lead to confinement of nanomechanical motion. The findings are in good agreement with calculations from the collaborating theory teams of Prof. C. T. Chan of HKUST and Prof. A. W. Rodriguez of Princeton University. HKUST PG students involved in this work include Lu Tang, Mingkang Wang and Henry Ng. This experiment serves as a first step in exploiting the Casimir force between components of complex geometry in nanomechanical systems.